Clean transportation product launches coming up: Ford, Cummins Westport, the North American Council on Freight Efficiency (NACFE), Rush Enterprises, Alliance AutoGas, ClipperCreek, Parker, Bauer Compressor, Quantum Technologies, Superior Transportation Solutions, and other companies will be introducing new alternative fuel and clean vehicle technologies at the Alternative Clean Transportation (ACT) Expo. Event organizer Gladstein, Neandross and Associates (GNA) expects that more than 3,500 clean transportation stakeholders and 200 plus exhibitors will convene May 4-7 at the Kay Bailey Hutchison Convention Center in Dallas for ACT Expo, the industry’s largest annual alternative fuel conference and expo. “As the transportation industry faces volatile oil prices and continually tightening emissions regulations, it’s vital for fleet operators to understand the wide range of options available—including electric, hybrid, hydrogen, natural gas, propane autogas, renewable fuels, DME, clean diesel, and efficiency technologies,” said GNA CEO Erik Neandross. Enterprise and Trucking Moves America Forward Honor Earth Day: With the 45th annual Earth Day taking place on April 22, Enterprise Rent-A-Car announced its contribution for the 10th consecutive year to the Arbor Day Foundation. The Foundation uses funding from the Enterprise Rent-A-Car Foundation to plant one million trees throughout the US, Canada, the United Kingdom, and Germany as part of the Enterprise 50 Million Tree Pledge. By the end of 2015, 10 million trees will have been planted through the program in forests through this unique public-private partnership, which – in addition to the Arbor Day Foundation – also includes the US Forest Service, US National Park Service, Tree Canada, Trees Ontario, the U.K.’s Woodland Trust and the German Forest Protection Association (Schutzgemeinschaft Deutscher Wald). Trucking Moves America Forward (TMAF), the industry-wide image and education movement representing all areas of the professional truck driving industry, honored Earth Day by celebrating the progress the trucking industry is making toward a more sustainable future, which includes adopting industry recommendations to reduce carbon emissions. Some of the many programs, efforts and technologies that trucking companies and drivers support include: training that emphasizes fuel-saving driving techniques; reducing wait times at loading and unloading docks to decrease engine idling emissions; reducing pollution through ongoing participation in the EPA SmartWay Transport Partnership program; advancing alternative-fueled vehicles and fuels; lowering fuel consumption by reducing empty miles driven; and promoting more efficient freight hauling and freight packaging practices. Tesla-rama: Hackers took on Tesla Motors by attacking its Twitter site and media-relations email account on Saturday. Tesla joins Sony Pictures and several other companies in getting hacked; in this situation, the hackers who entered Tesla’s Twitter feed were able to post messages to the company’s more than 564,000 followers, and one of the attackers responded to an email message to Tesla’s press contact……….. JB Straubel, co-founder and CTO of Tesla Motors, will be a keynote speaker at the 2015 EIA Energy Conference. The U.S. Energy Information Administration (EIA) will hold the conference on June 15 and 16 at the Renaissance Downtown Hotel in Washington, DC………. Tesla CEO Elon Musk only earned $35,360 from his Tesla paycheck last year; however, Musk has done very well with his Tesla stock portfolio over the past two years and from his salary at SpaceX, the private rocket launching service he also founded. No more Bullsh*t about hydrogen: As Toyota begins production of its Mirai hydrogen fuel cell car, the automaker is taking on hydrogen critics. It’s the most abundant element in the universe, but critics say that hydrogen fuel cells are not going to work as a viable alternative energy for transportation – it’s dead on arrival. Those that call it “bullsh*t” are right, but not in the way they think, the Toyota video says. Manure provides an enormous amount of energy, as do water and other sources, explains Toyota engineer Scott Blanchet while visiting a farm. Audi plug-in hybrids: Audi believes plug-in hybrids are the best alternative to offer customers, and will be making that option a preferred choice for customers on several models over the next 10-to-15 years. First up will be a full-electric model – an Audi SUV with a 310-mile range that will take on Tesla’s upcoming Model X crossover, says CEO Rupert Stadler. 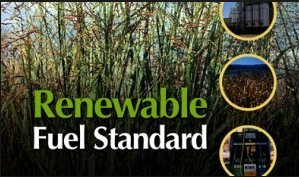 Americans support RFS: Renewable Fuel Association just paid for a consumer survey and found there’s bipartisan, majority support for the Renewable Fuel Standard. More than six in 10 Americans support it with Democrats at 65%, Independents at 61%, and Republicans at 57%. Less than two in 10 oppose it, and 20% have no opinion. Now it’s time for the US Environmental Protection Agency to release its volume standards. Allied Specialty Vehicles has CNG and Propane partnerships: Big announcements from Allied Specialty Vehicles (ASV), a maker of vehicles for commercial, fire and emergency, and recreation markets……… ASV has an exclusive partnership with Westport to expand availability of the compressed natural gas (CNG) Westport WiNG™ Power System beyond school buses manufactured by Collins Bus; the CNG system will be added to commercial bus, emergency, and other vehicle products. A week earlier, ASV announced its exclusive partnership with CleanFUEL USA to expand its lineup of propane autogas products. ASV will move beyond propane-powered Collins Bus school buses to “increase the breadth of propane autogas systems we can offer to our customers,” said Tim Sullivan, ASV president and CEO. BMW adding to i series: BMW is adding to its plug-in electric i subbrand with the i5, which will be based on its 5 series. BMW will begin selling the i5 in 2018 and expects that it could be its best-selling i model. The plug-in hybrid executive sedan will have a gasoline engine and two electric motors. Quantum adding to offerings: Quantum Fuel Systems Technologies Worldwide, Inc., is expanding its offerings beyond natural gas storage systems and plug-in hybrid F150s – hydrogen fueling dispensers. Quantum received multiple orders from Linde North America to develop and manufacture retail hydrogen fueling dispensers for the further development of hydrogen fueling infrastructure in California, which should be delivered by the fourth quarter of 2015. EV used vehicle values: NADA Used Car Guide’s Perspective: Electric Vehicle Retention Report Card was just released this morning. Here’s part of it: “For the most part, used EV prices continue to be very soft, which really isn’t much of a departure from how prices have tracked over the past couple of years. Used EV demand continues to be hampered by range and technology concerns, as well as by stiff competition from highly efficient—and more affordable—gasoline-powered cars.” Top performers on the list are the Tesla Model S at 83.1% retention value and Porsche Panamera S-E at 78.4% retention value. 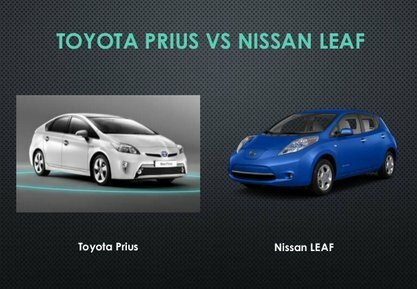 The Nissan Leaf is near the bottom of the list at 43.5% retention value. For fleets of all types – from light-duty passenger vehicles to heavy-duty commercial vehicles – the challenge these days is making the business case for new vehicle acquisitions and refueling infrastructure that hits targets balanced with cost containment. Vehicle safety, fuel expense, route efficiency, maintenance and durability, and air quality and greenhouse gas emissions might be on the list – under the reality of limited budget constraints. Meeting sustainability targets is going higher up on the list for government and business fleets. Resources now being offered by carbonBLU, Fleet Vision, and NAFA Fleet Management Association will streamline the process and bring value to fleets needing to make that business case. Rick Sikes, former Fleet Superintendent at City of Santa Monica, has taken the position of Chief Operations Officer (COO) for carbonBLU, which provides fleets with analytics, optimization, and deployment services for reducing spending and pollution. Sikes brings over 35 years of fleet management experience with a wide variety of equipment and alternative fuel vehicles; along with fleet positions at Frito-Lay and UPS, Sikes spent the previous 10 years at City of Santa Monica, which included help organizing the annual AltCar Expo in Santa Monica since 2006. Sikes also played a role in the testing phase of the new NAFA Sustainable Fleet Accreditation Program. Sikes and the carbonBLU team will be promoting that program to fleets as a tool to become more sustainable. Sikes replaces Sedale Turbovsky, who will continue in his role driving innovation at carbonBLU, but will also be serving as Director of the Center for Alternative Fuels. carbonBLU recently received grant funding from the California Energy Commission (CEC) to create two physical and one virtual Centers for Alternative Fuels. These centers are a free resource dedicated to implementing economically and environmentally sustainable transportation energy strategies. The virtual center for alternative fuels allows fleet managers access to some of carbonBLU’s proprietary analytics tools and a wealth of information to help accelerate commercial deployment of alternative fuels. Last week, Vision Fleet released a report, prepared for the Colorado Energy Office, on the economic suitability of alternative fuel vehicles (AFVs), efficiency improvement technologies, and alternative fleet management approaches for Colorado’s state fleet. The study holds relevance for other public fleets considering large-scale adoption of AFVs. Vision Fleet has become well known with fleets for its role with the City of Indianapolis in the largest to-date deployment of electric vehicles in a public fleet with 425 plug-in hybrid and battery electric vehicles. The Vision Fleet report gained input from more than 30 agency fleet coordinators and sustainability contacts to identify appropriate options based on agency-specific vehicle use cases. The study utilized a total-cost-of-ownership (TCO) approach to assess where fuel and maintenance savings would likely offset the higher purchase price of AFVs. In this video interview with Fleet Management Weekly, Bill Van Amberg, Senior Vice President at CALSTART, talks about the recently announced NAFA Sustainable Fleet Accreditation Program. Van Abmerg says that in the program, NAFA Fleet Management Association and CALSTART look at a fleet’s portfolio to analyze the types of vehicles and fuels that are being used to set a baseline. Fleets are guided over a period of time on using different fuels, phasing in more fuel-efficient vehicles, changing how the fleet is operated, training drivers, and implementing idle reduction. The fleet will later be measured again and given a report card assisting fleets in making environmental improvements while at the same time showing a bottom-line value to their organizations. The NAFA Sustainable Fleet Accreditation Program is now being structured on a four-tier rating system that evaluates fleets based on their environmental performance against world-leading goals. During the NAFA I&E conference in Orlando, NAFA Fleet Management Association, in conjunction with CALSTART, announced how the program has been designed to become an industry standard for recognizing concrete improvements in reducing emissions, increasing fuel efficiency, and reducing fuel use. Launched last year, NAFA’s Sustainable Fleet Accreditation Program has rolled out of the beta-test phase and has become a distinct system. It’s now being structured on a four-tier rating system that evaluates fleets based on their environmental performance against world-leading goals. During the NAFA I&E conference in Orlando, NAFA Fleet Management Association, in conjunction with CALSTART, announced how the program has been designed to become an industry standard for recognizing concrete improvements in reducing emissions, increasing fuel efficiency, and reducing fuel use. 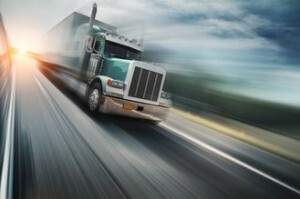 “With this new program, fleets will be able to measure, manage and improve. Fleets start at any level of activity – the point is to start down the path: first by base lining where they are, then by validating their progress, and finally, by benchmarking themselves against rigorous standards and the actions of their peers,” said Bill Van Amburg, CALSTART Senior Vice President. “It is the new measure of fleet sustainability.” The NAFA standard can be applied to fleets of all sizes and types ranging from passenger cars to Class 8 big rigs. CALSTART provided technical assistance and worked with NAFA to develop the standards. To learn more, or to join the program, visit NAFASustainable.org. Big EV announcements from GM: The Chevrolet Spark battery-electric vehicle has a $1,650 price cut and “bonus cash” incentives, at first in California and Oregon, that can cut another $1,000 to $3,500 off the sticker price; with the $7,500 tax credit, the electric Spark can sell for as low as $15,000. Cadillac launched a plug-in hybrid version of the CT6 luxury sedan at the Shanghai Motor Show; it has an adaption of GM’s second-generation Voltec hybrid system. Cadillac has a few more plug-in hybrids in its product pipeline – and did announced that its 2016 Cadillac ELR will have a slightly different powertrain than the CT6 and 2016 Chevrolet Volt; the 2016 ELR will keep its existing 17.1-kilowatt-hour battery pack and 1.4-liter four-cylinder engine but with a lot more horsepower and torque……..
SoCalGas is bringing together industry experts, natural gas truck manufacturers, and fleet operators for dinner and discussion on making the switch to natural gas for your truck or fleet of trucks. Topics will include making the business case for natural gas heavy-duty vehicles, natural gas truck refueling, and funding natural gas heavy-duty vehicles. Upcoming events include Inland Empire on May 12 at Riverside Convention Center in Riverside, Calif.; and San Joaquin Valley on May 19 at Hodel’s Country Dining in Bakersfield, Calif. There will be other events in Southern California in July, September, and October. Here’s a link to learn more about the event and to register. Nissan CEO Carlos Ghosn offered some interesting statements: Nissan plans to raise sales of its electric Leaf to 50,000 units a year from about 30,000 last year, with potential growth in public charging stations driving those anticipated sales. In China – where Nissan operates under the Venucia domestic brand – Ghosn would like to see the government increase incentives to move electric vehicle sales out of the stuck phase. A very impressive collective of trade groups has been formed to deal with the impending connected car, autonomous vehicle reality. The new Smart Transportation Innovation Coalition includes Alliance of Automobile Manufacturers, Association of Global Automakers, National Automobile Dealers Association, Information Technology Industry Council (which has Apple, Google, Intel and Microsoft as members), Motor and Equipment Manufacturers Association, Intelligent Transportation Society of America, and Intelligent Car Coalition. The group’s main agenda will be educating lawmakers and policymakers about the potential benefits offered by advanced vehicle technologies. It’s been a while, but there’s been another biofuels fraud case being prosecuted by government officials. Joseph Furando of Montvale, NJ, pleaded guilty last week in federal court in Indianapolis to all of the charges he faced, including conspiracy, wire fraud, lying to investigators, and money laundering. Prosecutors said Furando and his executive team face a May trial involving an allegation of about $55 million in illegal profits being generated through the scam. For the third straight year Penske Truck Leasing has been honored by the US Environmental Protection Agency (EPA) as a SmartWay Affiliate Challenge Award winner. Penske is one of seven organizations across the US to be given the award last week at the Transportation Intermediaries Association (TIA) Capital Ideas and Exhibition Conference in Orlando, Fla. EPA honors organizations for doing an exceptional job in supporting the SmartWay partnership’s freight sustainability goals. 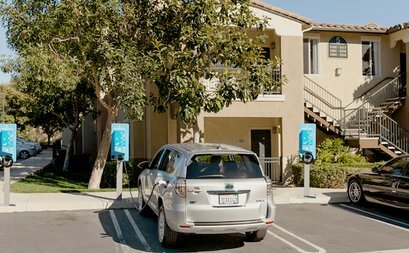 Plug-In America is honoring its 10th anniversary by profiling 10 of its early adopter leaders who had been driving early editions of the Toyota RAV4 electric model and other limited volume electric cars in California; and in more recent times, the very first models of the Nissan Leaf and Chevrolet Volt. Among the 10 “pioneers” are Paul Scott and Linda Nicholes who have been very visible at EV events for several years. Allied Specialty Vehicles (ASV), a leading manufacturer of motor vehicles for commercial, fire & emergency and recreation markets, has an exclusive partnership with CleanFUEL USA, an industry leader in propane autogas technology. Under the partnership, CleanFUEL will provide products and services to expand ASV’s line of alternative fuel vehicles, namely propane autogas. Extra: In this week’s Green Auto Market Extended Edition…….. Clean vehicles being recognized as part of 45th annual Earth Day features coverage of Kelley Blue Book’s “Ten Best Green Cars,” Clean Auto Alliance announcing the first-ever recipients of its Environment & Safety Elite Award, and Cars.com on which cities have the most eco-friendly buyers. Plus, the latest on the US fueling and charging station infrastructure and how much it’s grown in the past year (with one category declining in size). You can read more about it here. Editor’s Note: With plug-in electric vehicle (PEV) charging station operator ChargePoint announcing its multi-unit dwelling charger for apartments and condominiums, I contacted an industry expert on this topic. Joel Pointon, former PEV Program Manager at San Diego Gas & Electric (SDG&E) and Principal at JRPCharge Consulting, serves as co-chair of the California Plug-in Electric Vehicle Working Group for Multi-unit and Workplace Vehicle Charging. Pointon and colleagues see the vast opportunity of bringing more multi-unit chargers to PEV owners – along with several challenges that must be addressed. Since the introduction of truly commercial plug-in electric vehicles (PEVs) in late 2010, we have firmly established that drivers do more than 80% of their charging at home. It makes perfect sense…… if you live in a single family home and control your parking area. But in reality a significant portion of our population lives in multi-unit dwelling communities (owners and renters) and do not have control over their parking their vehicles – sometimes without any assigned parking. Over 50% of San Diego and 66% of San Francisco residents live in these communities, and future land use planning only points to increasing numbers for both urban and near urban neighborhoods. Although electric-powered vehicles are often a perfect fit for this population, most give up considering it because of the challenges of getting the cooperation of property management and other residents. There’s also the challenge of addressing infrastructure limitations that never considered supplying electricity to parking areas. After working with the stakeholders in these communities for over five years via workshops and lectures, it has become obvious that there is a real need for education and outreach. The challenge is reaching municipalities, utilities, property management companies, and residents for creating the awareness base – and for better understanding the confusing spectrum of options available to meet this presently unmet need. Commission (CPUC) to consider for multi-unit (and workplace) charging. These range in scope from “make ready” wiring to basically turnkey offerings for charging in these residential environments (applications are available at the CPUC website). Private offerings have included the NRG eVgo – CPUC settlement offering of “free installation” for charging units where residents pay a monthly fee for access and power; and the recent ChargePoint press release announcing a “packaged” market focus for multi-units. The good news is that gradually the spectrum of charging offerings will continue to expand for this underserved market. Focus in the future will need to stress flexible, cost effective, and innovative approaches in order to become truly successful. So where to start? What’s the vocabulary? What’s the technology spectrum? This may be a bit overwhelming for someone just approaching the topic. 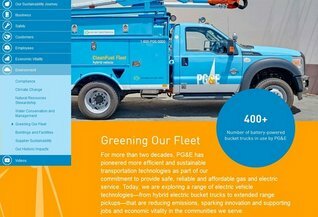 As co-chair of the California Plug-in Electric Vehicle Working Group for Multi-unit and Workplace Vehicle Charging, let me suggest the free downloadable guides available on their resources page as a primer (PEVCollaborative.org) ….and also the free survey available for property managers to “take the temperature” of electric drive appetite within their communities. When will we know that we have reached the tipping point for making electric fuel an option in these communities? When we finally see PEV charging listed as a standard amenity to attract residents, just as they do a pool or clubhouse today. Until then, we have much work ahead of us. Joel Pointon, former PEV Program Manager at SDG&E and Principal at JRPCharge Consulting, can be reached by email at JRPCharge@gmail.com. The long-dragged-out biofuels standards may be coming to a conclusion. The US Environmental Protection Agency (EPA) said it will propose draft biofuels targets for 2015 by June 1 as part of a lawsuit settlement with oil industry trade groups. The American Petroleum Institute and the American Fuel and Petrochemical Manufacturers had filed a lawsuit stating that EPA delays in setting renewable fuel use requirements have led to uncertainty and volatility in biofuel markets; oil trade groups are tired of dealing with market volatility of Renewable Identification Number (RIN) credit prices, which is part of the Renewable Fuel Standard rules requiring that fuel refiners mix a certain volume of ethanol into gasoline and biodiesel into diesel each year. The EPA has been dragging out defining the rules that it will set for biofuel volumes. Its decision in late 2013 to reduce the ethanol mandate and maintaining the biodiesel mandate led to a wave of public outcry by biofuels producers and anger by oil industry trade groups over the instability and whether the EPA would reduce the biofuels targets. Tesla Motors continues grabbing our attention. Last fall, it was the Tesla Model S P85D with “P” standing for performance; now, there’s the Model S 70D with more power, longer range per charge, and price tag with $5,000 added. The 70D is an all-wheel-drive Model S with a 70-kilowatt-hour battery pack, with 240 miles of range and priced at $75,000 before incentives; and it gets 514 horsepower (hp) to all four wheels from two electric motors. That compares with 208 miles on a charge and 380 hp on the base model rear-drive Model S. As for the “D” in Model S 70D, that stands for dual motor, which will be standard. Henrik Fisker is dropping the Thunderbolt supercar. Former Fisker Automotive co-founder, and previous Aston Martin design director, Henrik Fisker, has settled a lawsuit by Aston Martin against plans to produce the $400,000 Thunderbolt. Fisker claimed it was based on the current Aston Martin Vanquish, a V-12 powered supercar that was to have been modified with custom styling and cosmetic features. Aston Martin says it was too close to the iconic sports car featured in James Bond movies and infringed on Aston Martin’s intellectual property rights. Fisker had shown off the Thunderbolt at the Amelia Island Coucours d’ Elegance car show last month, and said it would be marketed through the Galpin Aston Martin dealership in California. 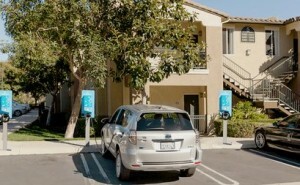 ClipperCreek releases cost-competitive charging station. ClipperCreek announced availability of its popular LCS-20 EV charging station with a plug, previously available only as a hardwired unit. ClipperCreek released the LCS-20P Level 2 EV Charging Stations now starting at $379 hardwired and $395 with four plug options, the four most common residential 240V supply power plugs. Elio Motors CEO Paul Elio still needs a few more investors. Elio just spoke at the New York Auto Show and said that to meet the $230 million to begin production of its two-seat, three-wheel fuel efficient vehicle is still falling short – the company needs another $165 million to get these cars on the road. Elio thinks that the $6,800, 84 mpg vehicle is ideal for cost-conscious fleets and consumers. A big question will be whether Elio Motors will be able to qualify for a low-interest loan through the US Dept. of Energy’s Advanced Technology Vehicle Manufacturing program that will be re-launched soon. Rethink Methane Symposium coming up. Gladstein, Neadross & Associates (which puts on ACT Expo) is launching the inaugural Rethink Methane Symposium on June 9-10 in Sacramento, Calif. It’s focused on helping stakeholders understand how renewable methane from biological and synthetic sources can help California meet its climate protection and air quality improvement goals. Featured speakers will be Hector De La Torre of the California Air Resources Board, Peter Lehner of the Natural Resources Defense Council, Julia Levin of the Bioenergy Association of California, and Alan Lloyd, president emeritus of the International Council on Clean Transportation. Massachusetts offering more EV rebates. Electric vehicles have been popular enough in Massachusetts to use up the initial $2 million incentive funding. Now Governor Charlie Baker has allocated an additional $2 million to the state’s Mor-EV rebate program. Mor-EV, which stands for Massachusetts Offers Rebates for Electric Vehicles, provides up to $2,500 to state residents who buy or lease electric vehicles. BMW wants to double plug-in sales. BMW would like to double sales of its i3 electric and i8 plug-in hybrid models this calendar year. The BMW i3 had 6,092 in sales from its launch in May of last year through December; the German automaker would like to double that to 12,000 units sold of its i3 battery electric and i3 REX range-extended small hatchbacks by the end of this year. The i8 was introduced in August and took in 555 in sales last year; that number is intended to be 1,000 this year. BMW is happy to see strong demand for both models, said BMW North America CEO Ludwig Willisch. GM prepping for redesigned Volt. General Motors says it will stop production of its 2015 Chevrolet Volt in May to reduce US stockpiles and to prepare for the highly anticipated 2016 Volt plug-in hybrid. Production of the redesigned 2016 Volt is expected to start late this summer. The suspension comes from lower-than-expected sales, factory renovations and engineering changes, the company said. Volt sales had dropped 19% to 18,805 units in 2014, and 48% in the first quarter of this year to 1,874 units. In other news, GM is thinking about spending $1 billion to renovate its Tech Center campus in Warren, Mich. GM has asked the city for tax breaks on the project. The Tech Center has been the hub of many projects since the 1950s including hosting a battery lab for electric-drive vehicles like the Volt. Kevin Wood, project manager for clean transportation, at Center for Sustainable Energy, sees the plug-in and fuel cell vehicle markets taking off right now. They have a proven track record in fleets. While they don’t meet the needs in every duty cycle yet, in passenger vehicles and sedans, there’s no reason to not be looking at these technologies. You can hear his perspective on these plug-ins and fuel cell vehicles, and other alternative fuel vehicles, in this Fleet Management Weekly video. Extra from this week’s Green Auto Market Extended Edition: How Hawaii has become a significant electric vehicle (EV) marketplace. EVs with strong incentives have their appeal in Hawaii – with destination charges and a higher price for gasoline than any other market in the US, EVs become as, or more, attractive with cost-conscious car shoppers living in the state. Hawaii ranks second in the US behind California in the number of electric vehicles registered in the state, according to figures recently release by the US Energy Information Administration. The adoption of electric vehicles is a key component in the state’s target of reaching of 70% in clean energy by the year 2030. Here’s more on how to subscribe to that weekly newsletter and read all about it, plus a section on clean transportation company publicly traded stocks – and resources to check out on following these stocks and market trends. Phase 2 of national standards for fuel efficiency and greenhouse gas emissions from medium- and heavy-duty trucks will be central themes at upcoming industry conferences NAFA 2015 Institute and Expo and ACT Expo. The US Environmental Protection Agency (EPA) and National Highway Traffic Safety Administration (NHTSA), in collaboration with the California Air Resources Board (CARB), are in the planning stages of extending its standards beyond model year 2018. The objectives are to further reduce fuel consumption through the application of advanced cost-effective technologies and continue efforts to improve the efficiency of moving goods across the US. EPA has announced that proposed Phase 2 regulations that were originally planned for publication last month will delayed until June. The new rules are expected to not take effect until 2020. At NAFA Fleet Management Association’s 2015 Institute and Expo in Orlando, Fla., James Tamm, a top NHTSA official who has been heavily involved in the drafting of proposed regulations rulemaking regarding Phase 2 fuel efficiency and greenhouse-gas emissions, will speak to these issues at a session on Thursday morning, April 16. Tamm’s NHTSA division is also responsible for reviewing and approving manufacturer petitions for alternative CAFE standards. Tamm will make this presentation with Patrick O’Connor, president of the firm Kent & O’Connor, NAFA’s legislative counsel in Washington, DC. Tamm will provide attendees with an overview of the objectives for the Phase 2 standards and urge fleet managers to participate in the rulemaking process. 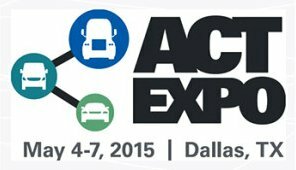 The 2015 ACT Expo, which takes place May 4-7 in Dallas, is presenting a greater emphasis this year on goods movement efficiency. Trucking Efficiency, a joint effort of The North American Council for Freight Efficiency (NACFE) and Carbon War Room (CWR), has an expanded partnership with the 2015 ACT Expo to provide greater emphasis on trucking efficiency at North America’s largest clean fleet event. Trucking Efficiency is an industry collaboration that aims to double the freight efficiency of North American goods movement. The four-day ACT Expo event will also feature a dedicated “Trucking Efficiency Showcase” in the expo hall to display heavy-duty efficiency technologies. Speaker workshops include a trucking efficiency track to explore these technologies and discuss the benefits and challenges of their adoption. Speakers will be discussing the role of alternative fuels in work trucks and heavy-duty trucking, aerodynamic improvement systems, idle-reduction strategies, 6×2 axles, tire pressure monitoring systems, and driver training programs among other measures – that will enable fleets to improve productivity, save fuel, and meet emissions standards. Phase 2 was a topic of discussion at the CALSTART annual meeting and Blue Sky Award ceremony in Los Angeles in December. Keynote speaker Christopher Grundler, director, office of transportation and air quality at the EPA, sees this as a top issue for the clean transportation community to follow. Both hybrid and plug-in electric vehicle sales are up over February 2015 but down from March 2014. Plug-ins are down less than one percent from a year ago, but hybrids continue to see a significant drop from last year’s sales – down more than 23% from March 2014. The Tesla Model S took back the top electric vehicle sales spot, which it had gained in January, from the Nissan Leaf. Tesla Motors released a quarterly statement and said it delivered 10,300 cars in the first quarter of this year – a 55% increase over the first quarter of 2014. Overall, the Nissan Leaf is the best-selling EV in the US – with a total of 76,407 versus 75,321 sold for the Chevrolet Volt since these cars were launched in late 2010. The Leaf has been far ahead of the Volt in monthly sales figures for more than a year, and a number of EVs have been surpassing the Volt recently. That could be the case until the 2016 Volt is rolled out later this year. BMW is investing in TV advertising for its i Series, and the BMW i3 has been seeing relatively strong sales numbers for several months. Californians make up about 40% of buyers of electric vehicles, but there’s growing concern too much state money is being spent on incentives and that they tip toward upper income consumers too far. Republican state Senator Ted Gaines has proposed eliminating rebates on cars that cost more than $40,000, but incentives would be boosted to $3,500. With the $7,500 federal tax credit, the cost of the vehicle could be reduced more than a quarter of it sticker price. The legislation comes at a time when the state has been criticized for giving most of the rebates to consumers who earn twice the national average; almost a fifth of the funds go buyers of the Tesla Model S with its starting price of about $71,000. Tesla has received about $34 million of the $203 million the state has doled out since the incentive program started in 2010. Almost twice as much as Tesla received in incentive funds has gone to Nissan Leaf owners for the electric car starting at about $29,000. Other states are making changes to their EV incentives; Georgia has passed a highway-funding bill that killed its $5,000 income-tax credit for purchase of an electric vehicles. Illinois suspended its own rebates to close a gaping budgetary hole, and Texas may do the same. Georgia also added a $200 registration fee for battery-electric vehicles. Announcement on my website and email change: For those of you who have me on distribution lists for my previous email and website, please update it. What was previously www.jonlesage.com has been changed to www.jonlesageconsulting.com. My previous email tied to that first consulting practice website, jlesage@jonlesage.com, is no longer active. My email address has been changed to jon@jonlesageconsulting.com. Please inform your colleagues about it, as well. UPS will be installing 15 compressed natural gas (CNG) fueling stations to support its planned purchase of 1,400 new natural gas vehicles over the next year. Twelve of the fueling sites will be in new natural gas vehicle deployment areas, and three will replace existing stations with higher-capacity equipment. The CNG vehicle purchase represent a nearly 30% increase of UPS’s alternative fuel and advanced technology fleet of 5,088 vehicles in its global fleet. BMW has won the World Green Car for the second year in a row. The 2015 award was presented at the New York International Auto Show to the BMW i8 plug-in hybrid sports car. The i8 was also one of the finalists in the category World Luxury Car of the year, and follows the i3 as the World Green Car category winner for this year. Auto supplier Delphi Corp. just completed a 3,400-mile road trip in a driverless Audi Q5 test model. The car, with its human driver ready to intervene and take over, drove from San Francisco to New York to test its radar, cameras, and laser sensors. The Audi Q5 stuck to posted speed limits, even when all the other vehicles on the roads were violating them. Other drivers subjected the car and its human occupants to “a few hateful gestures,” said Delphi’s chief technology officer Jeff Owens. While the BMW i Series was launched as part of BMW’s commitment to urban mobility, the US market for the i3 electric vehicle has been more of a mixed market than New York City. Two suburban markets in California are doing well marketing and selling the car – Crevier BMW in Santa Ana and Stevens Creek BMW in Santa Clara; parts of Texas and southern Florida are markets seeing hot demand, says Ludwig Willisch, CEO of BMW of North America. BMW is approaching “a sustainable rate” of selling 12,000 of the i3s annually, with its starting price of $43,350, including shipping. Of all places, Texas is seeing some real gains in clean fuels; by January 2017, Georgetown, Texas, located about 25 miles north of Austin, will get all of its electricity from wind and solar power. The city has a 20-year agreement with EDF Renewable Energy for wind power from a new plant in Amarillo; and has a deal with SunEdison, which will build plants in west Texas that will provide Georgetown with 150 megawatts of solar power. Texas is still the largest producer of oil in the US, the state is also seeing an abundance of wind and solar power. Wanxiang says it will begin showing off its version of the Fisker Karma sometime later this month, possibly at the Shanghai Motor Show. In what may be called the Elux Karma, Fisker’s owner Wanxiang is said to be thinking of upping the price tag to around $135,000 for the plug-in hybrid sports cars. BASF, a massive chemical company based in Germany, is fighting with Umicore, a Belgian major supplier of battery materials, in US Federal Court in Delaware. The case filed on February 20 has BASF accusing Umimore of selling nickel-cobalt manganese (NMC) cathode materials even though BASF has an exclusive license to it. The case also affects 3M Corp. and Argonne National Laboratory, which are major player in the lithium battery field. The Formula E electric race series was cheered on by several thousand people in grandstands in Long Beach, Calif., on Saturday. Sponsors and promoters of the race series are quite hopeful Formula E will educate and inspire people to see the potential of electric drives to power vehicles of all types quietly and with zero emissions. Brazilian Nelson Piquet, Jr., took first place for China Racing (and his father, Nelson Piquet, had taken first place in the Long Beach Grand Prix in 1980); Jean-Eric Vergne of Andretti Formula E finished in second place; and Lucas di Grassi of Audi Sports ABT came in third place. Piquet was the sixth different first-place winner in the six races that have so far taken place in the 10-race Formula E series. Nicolas Prost of e.dams-Renault took first place about three weeks ago at the Miami race. The next stop in Formula E will be Monaco ePrix in Monte Carlo; then it will go to Berlin and Moscow before wrapping up in London in June. The Formula E race series has gained more publicity by bringing in racing teams sponsored by Virgin Group founder Richard Branson, the family dynasty of racing legend Mario Andretti, and superstar Leonardo DiCaprio. DiCaprio attended the race on Saturday. 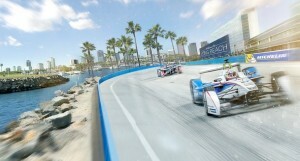 The annual Long Beach Grand Prix, with Formula One race cars, will take place in two weeks on the same track. Each of the race’s 20 teams had to change to a second car during a pit stop. The batteries weren’t able to cover the entire 39-lap race, so the drivers jumped into duplicate racers. It sounded quite different than the regular Long Beach Grand Prix with Formula One racers roaring through the streets of downtown. Formula E cars whizzed by the stands with their rubber tires squealing on the turns. General admission to the Long Beach race was free this time; that’s likely to change the next time Formula E comes to Long Beach. That could be as early as next year. Organizers of the event have been in talks with sponsors and city officials in Asia, Europe, and the US about making this race series an annual event. The founding partners sponsoring the race series are BMW i, Michelin, Renault, Qualcomm, DHL, and wrist-watch company Tag Heuer. BMW displayed its i3 and i8 electric cars inside the eVillage, located on the inside area of the race track. Zero Motorcycles displayed its e-bikes and shared an exhibit space with e4 Advanced Transportation Center of Southern California (ATC); and with Dutch organization Coast to Coast Smart e-Mobility (C2C). Qualcomm displayed an electric race car. Students with interest in a future engineering career from Long Beach high schools participated in a race earlier that day. Students from Cabrillo, Jordan, McBride, Millikan, and Santa Barbara high schools, and the California Academy of Math and Science, competed in a race in cars they had assembled from kits. Schools also had display booths in the eVillage. A few days before the race, students at California State University Long Beach received a special guest lecture from Formula E founder and CEO Alejandro Agag. He took questions from students that ranged from the overall state of the business of motorsport to technical questions about the unique challenges of designing the battery housing of the Formula E car. In 2012, veteran Spanish racing promoter Agag won over support from the Federation Internationale de l’Automobile (FIA) to start Formula E. The 10-race series officially launched in September 2014 in Beijing.